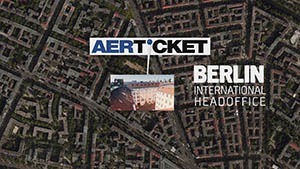 AERTiCKET is the largest, independent airline ticket wholesaler in Europe. Offering a full range of service from fulfillment for travel portals to collection of fare data for airlines, they offer the best prices from 170 airlines to travel agencies, tour operators and Internet portals. After discussion about the needs and wishes for the video, we came up with a this short version. It represents 1 minute to present the company and their new innovative product, Cockpit. We will in a second time developp a longer version presenting more products while getting deeper into the values of the company. 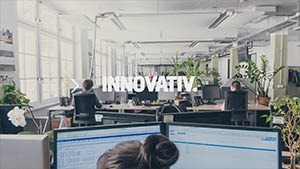 After taking the pictures at the Berlin’s Headquarters, I then used Adobe After Effect to create the differents animations. The first one is a zoom from the satellite view of Berlin into their Headquarters.